This is a jammed pack post! 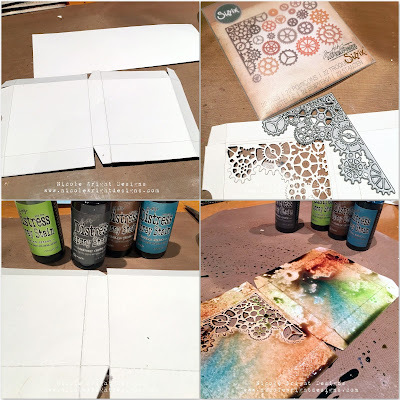 Eileen Hull has her new dies and the team is teaming up Crescent Art Products. 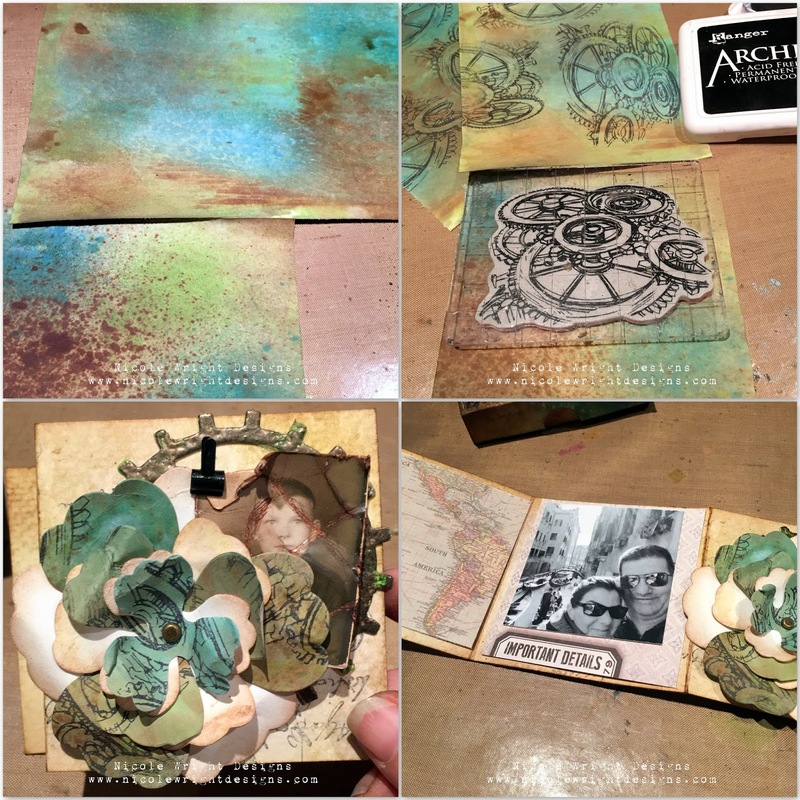 For this project I played with the RENDR paper cutting, inking and stamping the new Flower Pansy die. 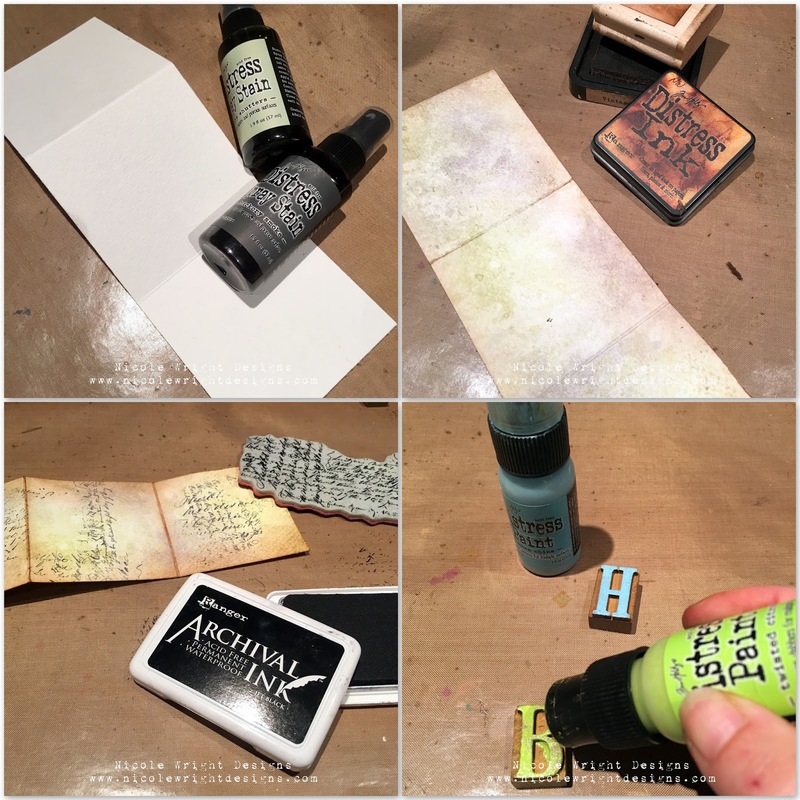 It's not only an Inspiration Team Post, but also a Contest Entry and a Birthday Gift. 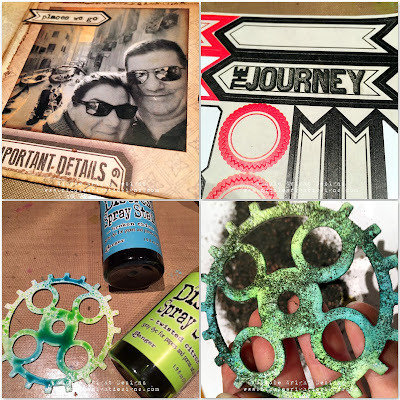 This project is full of dies, technique and lots of ink! I used a template for the mini pizza box. You can get the template HERE to enter the Where Woman Create Contest. I cut watercolor paper, die cut the Gearhead and inked. Spray, ink and distress. Then I cut a piece of plastic to layer inside the box cover. I cut a piece of watercolor paper and folded. Cut 3 1/4x 9 3/4's then score 3 1/4 creating 3 folded space to create. Ink and stamp for background. Time for some inky letterpress blocks. 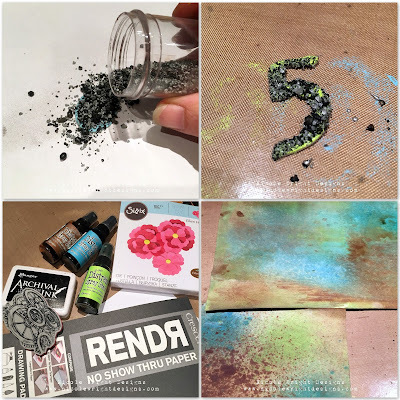 Ink, dry and EMBOSS IT. 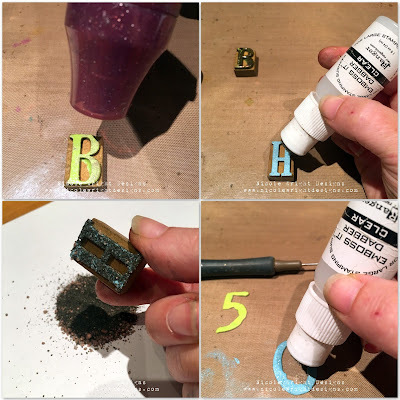 I used burnt copper leaves and hammered metal EP for the letters and Upper Typo "50". Coat and heat for a thick metallic masculine effect. This is my forst time using RENDR paper and LOVE IT! I inked and stamped to create my background for the new Flower Pansy die. Flowers can be a masculine! 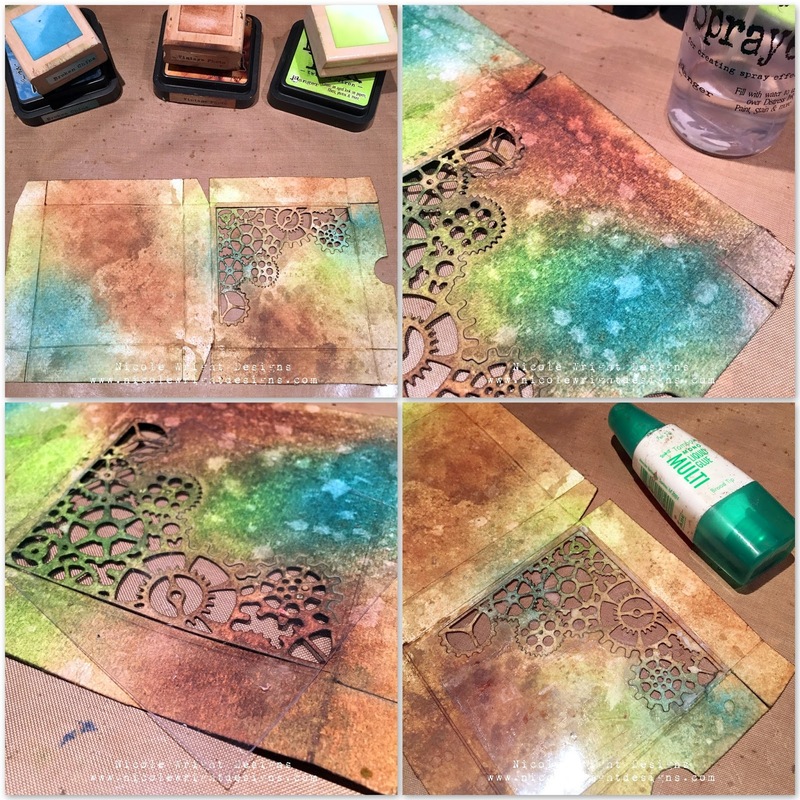 Stamped with gears and rusty spray tones. Layer with a Gears 2 and photobooth card. This is a gift for my husband's birthday. I decorated the folded insert with a resent photo of us in Venice Italy. More gears, inked and embossed. Pull together the embellishments and layer. The inside of the geared lid and that 50. Flower Pansy using RENDR and Sizzix Leather Paper. Using sprays and stamps to layer this masculine flower pansy. 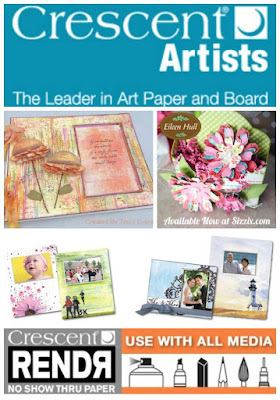 Watch for more projects using the Crescent Art Products from the team in June. 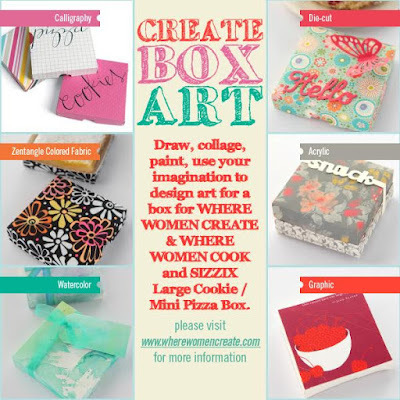 Stop by Where Woman Create "Create a Box Art" Contest. 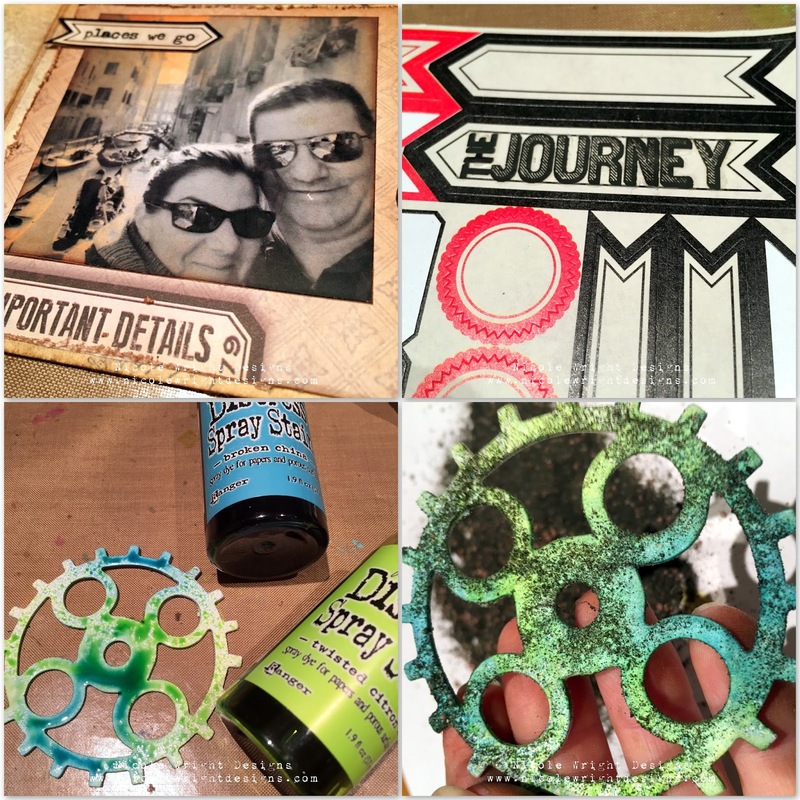 Thanks for popping in and I hope you check out Eileen's new Dies, the Crescent Art Products and Where Woman Create Box Contest. OH MY GOSH!!! This is fantastic Nicole- and also WTG on incorporating all of those ingredients to make an amazing and special gift. Love this! love love love this!!! what an awesome gift...will he get to keep it! !